As the average age of the population rises, care is moving out of the hospitals and into the homes. Home care may be an option for patients who are recovering after a hospital stay, or for individuals who are dealing with an illness and want to remain at home for as long as safely possible to maintain their existing lifestyle and independence. Home care may be provided by licensed health care professionals, including nurses, occupational and physical therapists. It may also be provided by caregivers (which could include family members) who help the individual with daily tasks such as bathing, eating, cleaning the home and preparing meals. 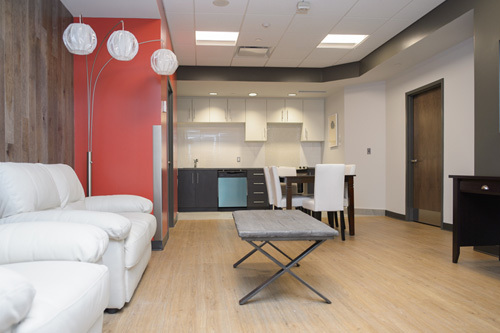 In order to help prepare and train clinicians and caregivers for this role, the Steinberg Centre for Simulation and Interactive Learning expanded their facilities in 2016 and created a simulated apartment training area. 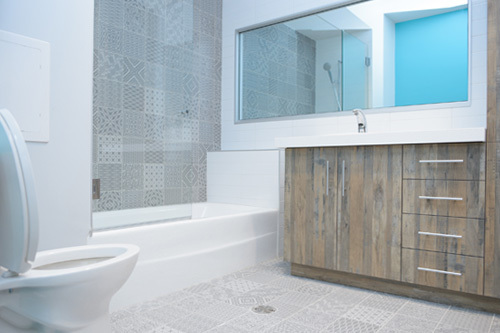 This fully-functional home occupies 1000 square feet and includes a lounge, dining area, kitchen, bedroom and bathroom, as well as a control room to monitor and observe behind one-way glass. 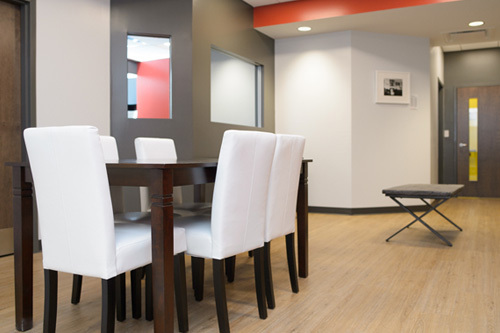 The apartment is fully furnished and contains all the necessary equipment to practice home care scenarios. The Centre also works with over 200 standardized patient actors who can convincingly enact patient concerns according to predefined guidelines, thereby allowing learners to acquire new skills in a safe environment to achieve better health care outcomes. Our goal is to create corporate and community partnerships with like-minded organizations and individuals. Together, we can organize outreach activities that will teach patients and caregivers how to manage chronic conditions or physical limitations. 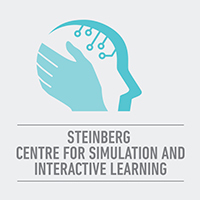 If you would like to discuss working with us, we invite you to contact Leila Zahabi, Program and Innovation Manager at the Steinberg Centre for Simulation and Interactive Learning, by email at leila.zahabi [at] mcgill.ca or by telephone at 514-398-4175. McGill University’s Steinberg Centre for Simulation and Interactive Learning is working in collaboration with Claire Webster, Alzheimer's Care Consultant and Facilitator and former caregiver, the Jewish General Hospital Centre of Excellence on Aging and Chronic Illness and McGill medical student Olivia Monton to develop a pilot project with the goal of educating and supporting caregivers who are looking after a family member with Alzheimer's disease or a dementia-related illness. Two pilot project workshops took place on September 15 and 22, 2017 at the Steinberg Centre for Simulation and Interactive Learning to educate family members on the most important elements that caregivers need to know regarding the disease. The workshops included a theory component to help family members prepare themselves for the journey of caring for someone who has the disease, including best practices for ensuring their own well-being as caregivers. 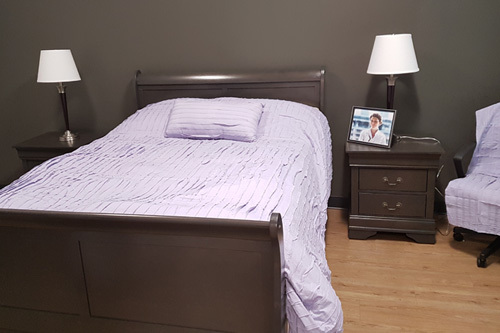 It also included a simulation component that took place inside the simulated apartment and taught family members how to keep their loved ones safe at home. Through education and empowerment, these workshops will help support caregivers and provide them with the necessary resources to turn to in the community for support.